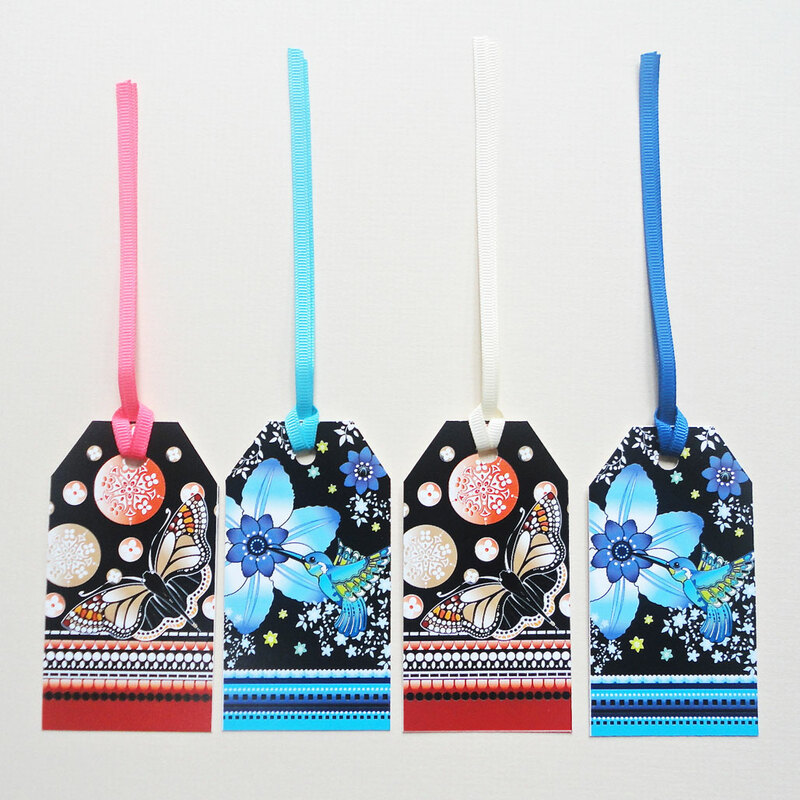 This set of four beautiful, brightly coloured tags featuring vibrant birds and butterflies, is ideal to add that finishing touch to any present or gift. This set consists of two Charm of Hummingbird tags, in bright blues with flowers, stripes of detailed pattern form a border and my favourite exotic bird all come on a black background. 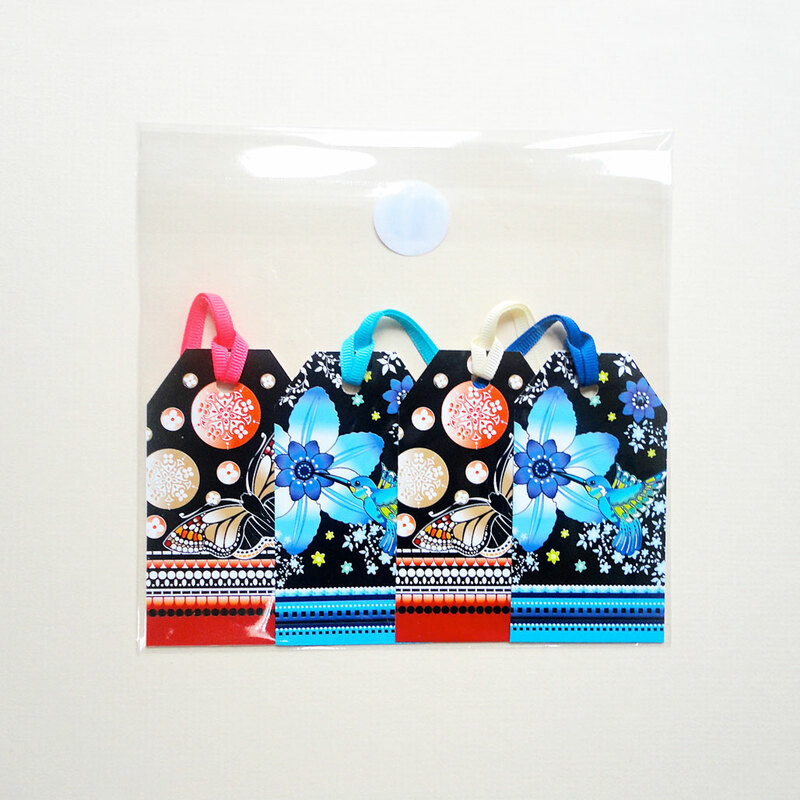 The grosgrain ribbons are in turquoise and blue. 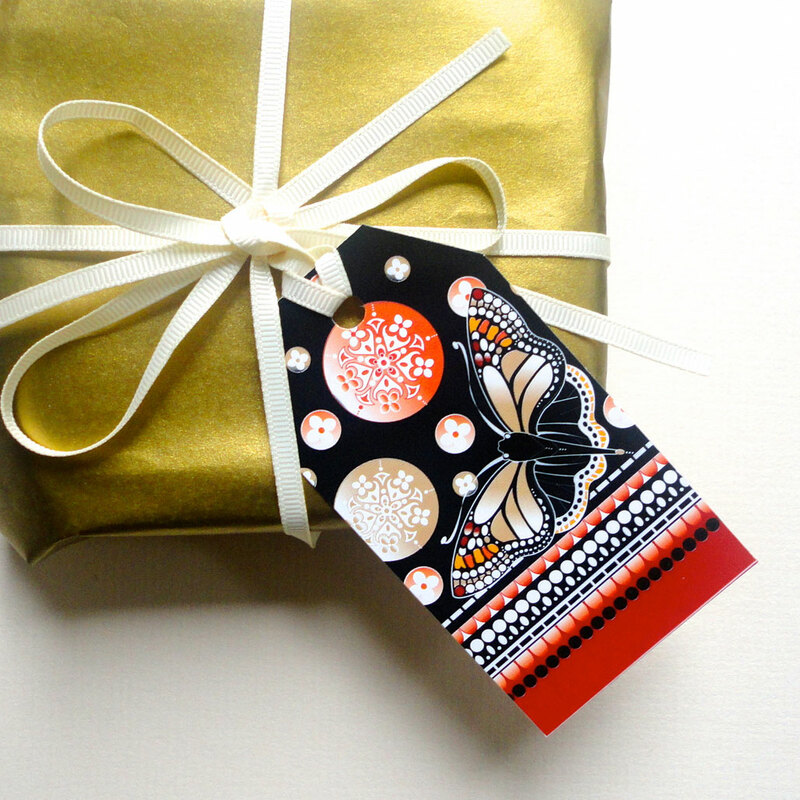 The two Red and Black Butterfly themed tags have an amazingly beautiful patterned butterfly, decorative circles and a patterned border on a black background. 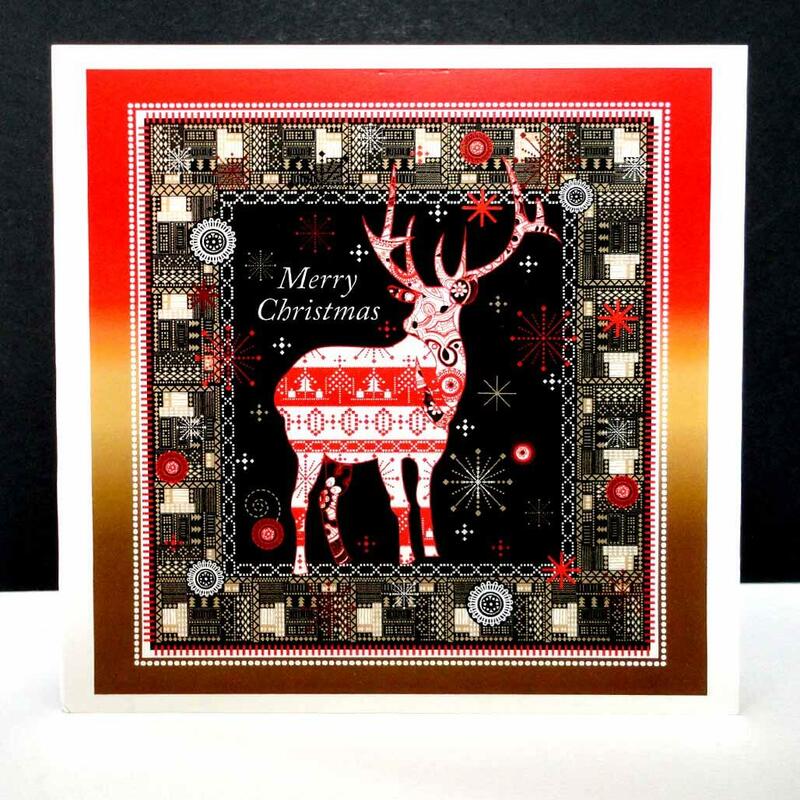 The grosgrain ribbons are in red and cream. 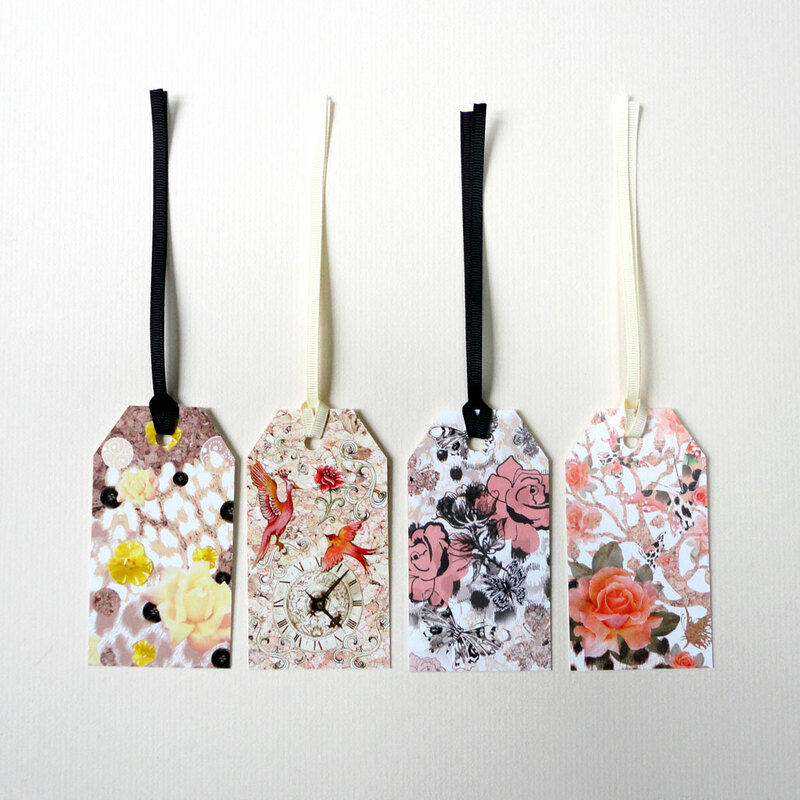 These tags coordinate with the Decorque Display pack of greetings cards. 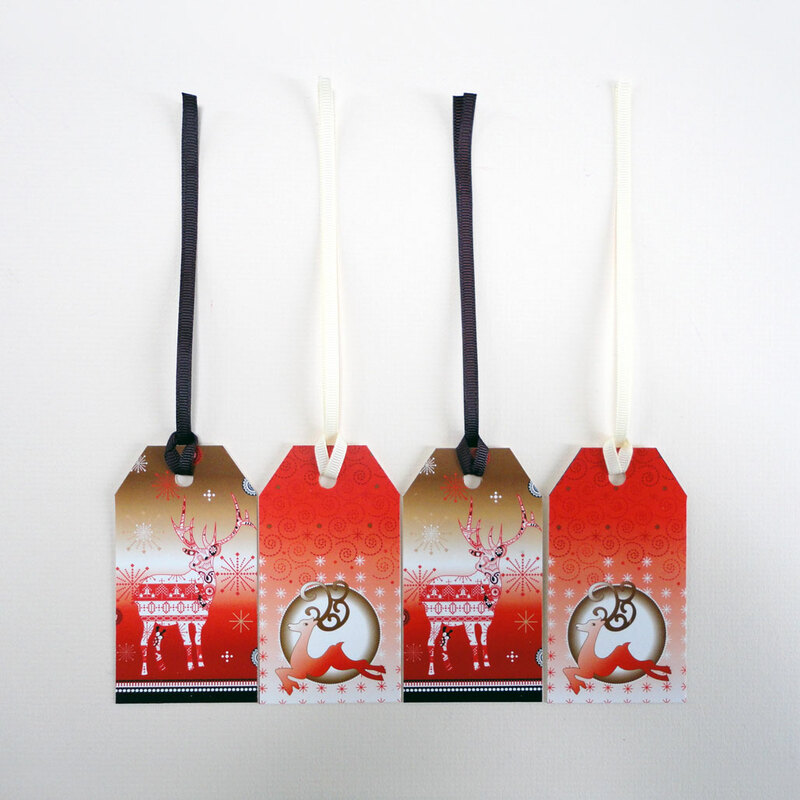 Pack of four gift tags, two designs and two of each in this set. 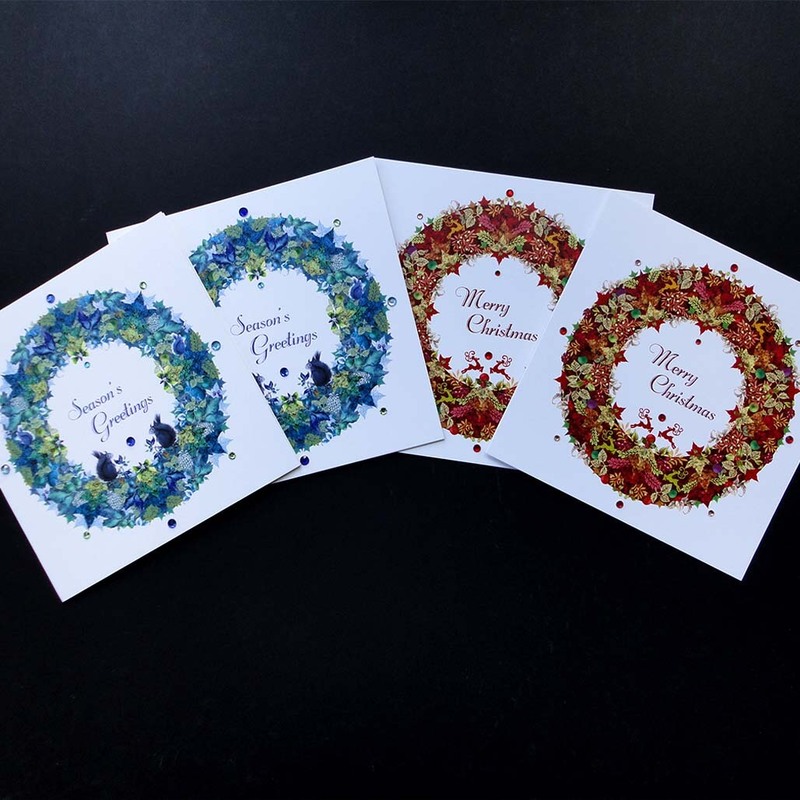 Print on 290gsm greetings card material with a premium satin finish.